Only 7 SLC 300 models left in stock! 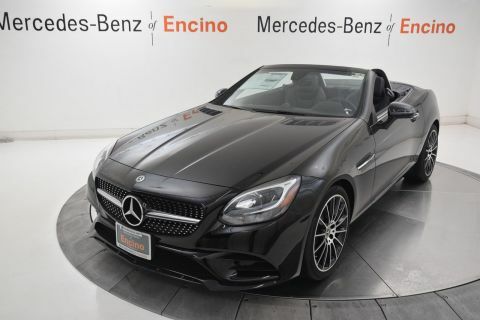 The 2019 Mercedes-Benz SLC is the road’s favorite roadster. 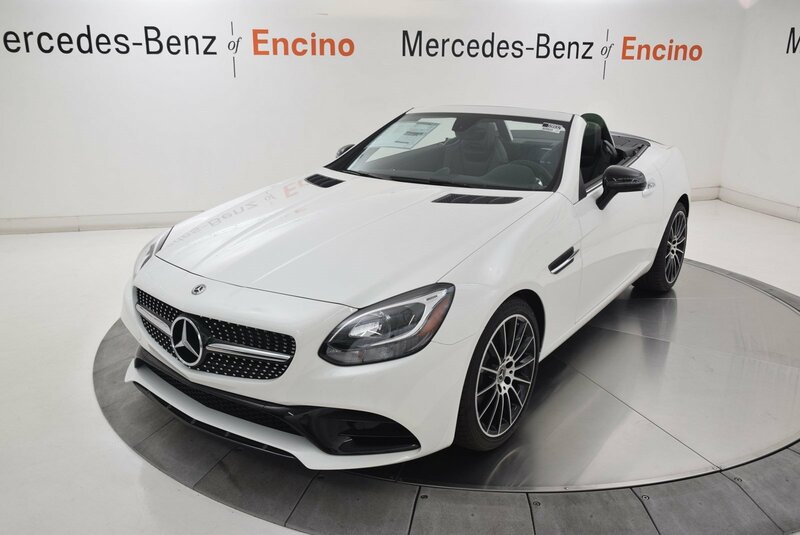 From its diamond-textured grille to its twin torch LED taillamps and mirror logo projectors, the SLC wraps its long-hood/short-deck balance in brilliance. Designed to slice through the wind and through corners, its sleek muscle and wide stance reveal its pure sports-car soul. 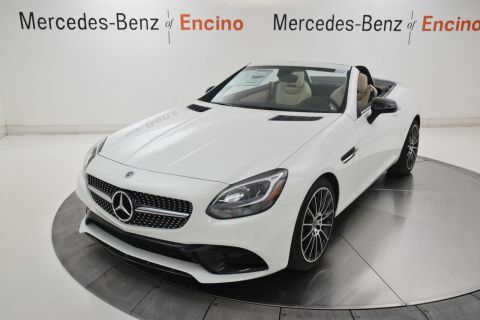 In under 20 seconds, the SLC's signature power retractable hardtop folds into the trunk, delivering open-air euphoria while leaving ample luggage space, while an electric trunk divider makes top-lowering even easier. Advanced technology is available in abundance, from music streaming to navigation with online searching. Clear analog gauges team with vivid color displays. Even the electronic gear selector wraps high-tech operation in a sculpture of aluminum and leather. Under the hood, a 241hp 2.0L turbcharged inline-4 turns motion into emotion, while advanced multispark ignition and high-pressure direct injection self-tune every few milliseconds, to turn fuel into good, clean fun. A slick paddle-shifted 9-speed automatic combines a wider range with shorter steps between gears, to make the most of the torque curve. It's also lighter, quicker and more efficient. dynamic select has a mode for every mood, from ECO to Sport plus. 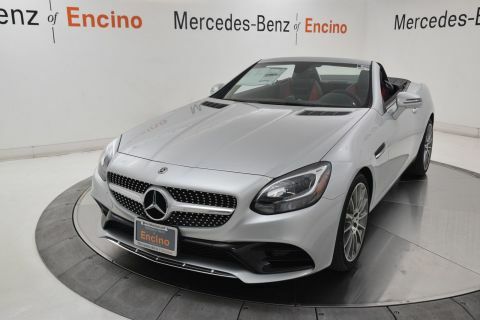 The SLC offers a range of convenient features for staying connected on the road, including a neck-heating system with three heat settings, Apple CarPlay and Android Auto compatibility, Bluetooth® integration and built-in Wi-Fi. You’ll also find a comprehensive suite of safety features such as dual roll bars, advanced sensors, active brake assist and active distance assist.